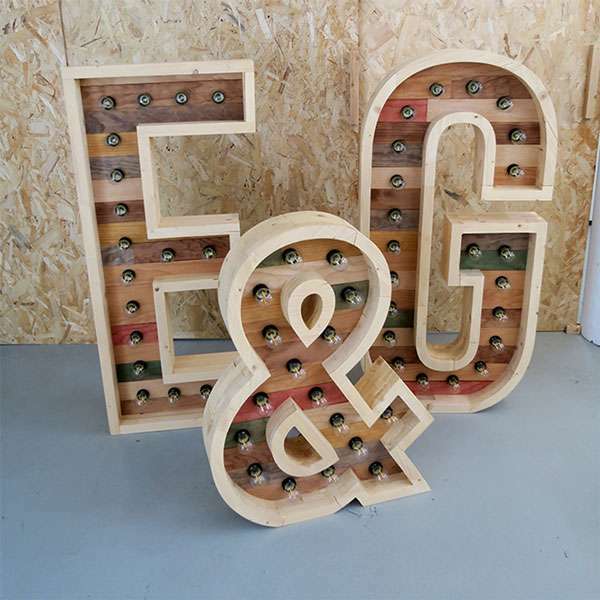 Rent wooden light-up letters to decorate your event and for the guests to pose with. You can write words, initials, or even numbers. Perfect for events, weddings, and birthdays. Rent the super size letters made of natural solid wood. 120 cm in height. Adjustable lighting to avoid glare in your photos. Edison light bulbs (long visible filament) with LED technology. High light bulb density with an average of 22 per letter. Includes detachable foot stand to ensure stability. 12.5 cm thick and continuous curves, no harsh lines.